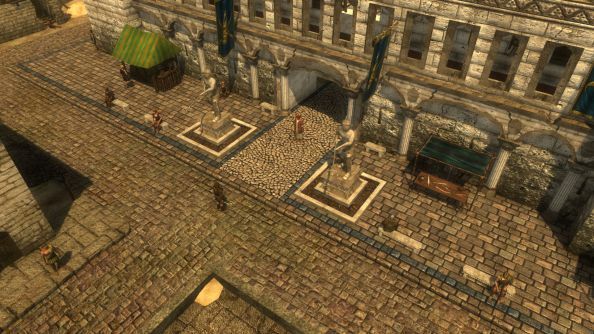 There were lots of online communities who lived in frustration during the decade-long drought of proper CRPGs – but to my knowledge only Vince D. Weller of RPG Codex was driven to leave his keyboard and build one himself. Several years and the rise of Kickstarter later, the landscape has changed – but there’s still no surplus of Fallout-inspired turn-based fare with stories powered by difficult choice and sorry consequence. And very few with post-apocalyptic settings analogous to the falling Roman empire. Looking for the best RPGs on PC? We’ve popped them all in one place. The Age of Decadence plays with real-world history and myth, and promises ruthlessness – both in its turn-based combat, and in the brutal outcomes of your words and deeds. There’s a particular focus on talking your way out of – or into – sticky situations, rather than gobbo-bashing without reason. There’s also a big, branching narrative, and the potential for alliances, schemes and backstabbings. It’s done very well in the user review department on Steam Early Access, and is now on sale there for $29.99 or £20.69. Think you’ll willingly step into a world where good and bad are purely relative and the greed of NPCs promises to get you killed? Sounds like a hell of a way to spend a weekend.